I have Generalized anxiety disorder (GAD) which is a pattern of frequent, constant worry and anxiety over many different activities and events. The main symptom is the almost constant presence of worry or tension, even when there is little or nothing to worry about. I also live with Obsessive-compulsive disorder which is an anxiety disorder in which people have unwanted and repeated thoughts, feelings, ideas, sensations (obsessions), or behaviors that make them feel driven to do something (compulsions). My increasing self-awareness helps me to live with my anxiety disorders and seek treatment when needed because I want to live a happy, productive life. Self-awareness is essential to living a happy life because without it you cannot truely address what is the reasons behind the anxiety. I chose to go on medication this past Thursday for anxiety because I could feel myself leaning towards my agorophobic tendancies. So I’m trying something new to help and am optimistic about it. Worrying takes so much energy. I believe this energy would be better spent playing with my daughter, spending time with my husband, cleaning my house, developing a hobby or putting my all into my work. If a medication treatment will help me achieve this then it’s worth a shot. I’ve also learned that self-talk works wonders for anxiety, especially of the OCD variety. I have this irrational fear that something really bad has happened if anyone is late. so – I start to count – to 100. over and over and over and over and over. gotta tell ya. it is tiring. does counting really save anyone I love from a car accident? of course not. do I count anyways? yes. now when I find myself counting I tell myself firmly, “Counting doesn’t save lives, counting doesn’t count.” I repeat as often as needed until the anxiety peaks and goes away. Because it always does you know – peaks then goes away. if you can force yourself not to comply with the compusion eventually it’s not so bad. Dirt, water, fresh air and being outside really bother me. The other day I sat outside with my daughter. It was a beautiful spring day with gentle breeze. We bought three pots, some herb seeds and a bag of dirt. I filled the pots with dirt, planted the seeds and watered and forced myself to complete this task from start to finish without complaining or getting up to wash my hands. Now everytime I look at these pots I am so proud of myself and a feel joy – true happiness because I did it – a small victory against the OCD. My boss brings little gifts here and there for my daughter. Her friend has a daughter just a bit older than mine so for almost 2 years now my daughter randomly gets beautiful items of clothes or shoes. This week was a pair of funky cute black framed sunglasses with colored gems (tiny, descrete but sparkly none the less). Last month it was an awesome pair of Ugg boots with rainbow zippers. Mostly though it’s desperately needed clothing as my daughter shoots up inches overnight (only slightly exaggerated). I learned that this other little girl really enjoys the fact that she is able to help out this unknown stranger to her. It’s made her more responsible as she is taking better care of her items since she knows she is passing them down. She is also releasing items easier because she knows someone else will love them like she has. With the sparkly new glasses in hand I came home and pulled out some paper. I asked my daughter to write a thank you letter. Her shaky handwriting with the big crudely shaped letters spelled out a beautiful thank you letter that made me proud to be her mother. The best part though was the end where she wrote, “thank you for helping me look pretty. it makes me feel good.” I thought it was sweet. I also wrote a thank you letter to this generous 8-year-old girl who generously gives to a stranger because she knows that it helps. We included a picture of my daughter wearing the new glasses. She was grinning ear to ear in the picture. I printed off a copy for myself and later when I was looking at the picture I noticed that not only was she wearing the gifted glasses, but a gifted shirt as well. It warms my heart that children can be so generous and loving to one another. I just updated my ereader and borrowed the following titles from my public library! 1. 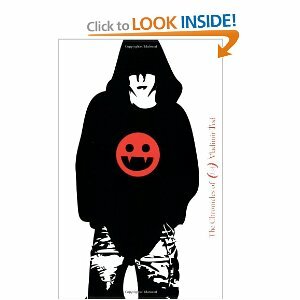 Eight Grade Bites (Chronicles of Vladimir Tod) by Heather Brewer – I’m sure it’s a bit too immature for me but it looks like it’ll be a good read none the less. I have the box set sitting on my book shelf in the family room brand new still in the box so hopefully I’ll give this a go. 2. Nine Grade Slays – book 2 of the same set – because you know – if I actually read the first one then I’ll have to read the second one. If not – im really sorry to any library patron who may have wanted to read this. 3. 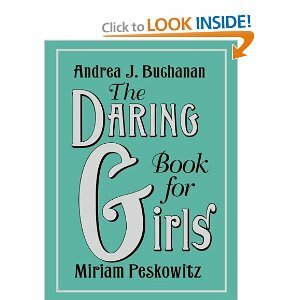 The Daring Book for Girls by Andrea Buchanan and Miriam Peskowitz. – just because I love it so much. Also need to start making plans for our Daring Club for Girls this summer. I have this in hardback and should buy the e-version but I find it so hard to own two of the same book even though it’s different formats. I also promised my husband that I would sell/ donate any physical copy that I purchased an e copy for and I can’t bare to part with my Daring Book. 4. 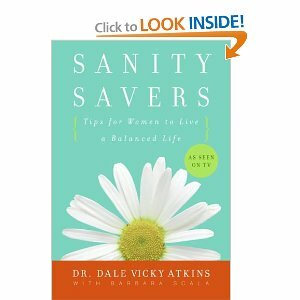 Sanity Savers: Tips for Women to Live a Balanced Life by Dale Vicky Atkins and Barbara Scala. Because as a wife and a mother of a very active, emotional girl I could definately use some sanity saving advice. I am still reading “Organize for a Fresh Start: Embrace Your Next Chapter in Life” by Susan West. This book has taken me FOREVER to get through but there have been some gems in the process. I find myself reading the same page over and over again. I think it’s because my ADHD brain has a hard time understanding the concept of organization that it’s like I’m trying to read a foreign language with this book. I would love to find an organization book for people with ADHD, maybe even written by someone with ADHD but alas the book would wind up being about squirrels or puppies or pretty sparkly jewelry. 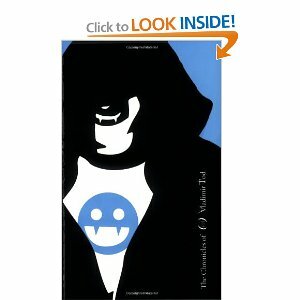 I’m almost to the end of the book and will write further on this once I get there. I’ve bookmarked the pages to information I’d like to try to use. So this week is Zone 5 – living room, family room or den. I actually spent a couple of 15 minute spurts on the family room – I know – shocking. The middle of the floor is empty which is AMAZING. I stacked the yard sale items neatly against the one wall. I piled stuff still to sort against another wall. I even sorted through some papers. Can’t believe it but it does feel a bit better in there. Today I tackled a sore spot in the living room – my daughter’s desk. Awhile back I was sick and tired of her room. I removed two full totes of stuff from her room and took it out to the shed. I removed another smaller tote full of stuff to be placed in the shed. And then I had an overflowing tote of her stuff that I really didn’t know what to do with it so I plopped it right down on top of her desk – in my living room. Crazy I know. It sat there for weeks. I couldn’t take it anymore and finally sorted through it today. Funny thing is it made me want to re-go through her room. I pulled out more items from her toy box to store, I removed all of the bins from her closet and put those toys in her toy box. Which left the entire bottom part of her closet empty. I decided to do something extra special for my daughter so that when she got home she would be extra excited. She has a rather large set of plastic drawers full of polly pockets and accessories. They have resided in the family room closet since we’ve moved here and she has needed to ask permission to go into the closet to play with these. Since I cleared out the space in her room I moved this into her closet today. She saw her room today – neat, clean and organized – and ran out into the living room and gave me a great big hug and thanked me. I assumed she saw the Polly Pockets. I said, “oh so you saw your closet?” She said no. I asked what the hug and thank you was for and she said it was because I made her room look so nice. At this point though her curiousity peaked so she ran back to her room and started screaming for joy. She invited a friend over and they played with her Polly Pockets for a long time. Here was the shocker for me – they picked up and put away everything. I want to cry because I’m so happy. My daughter really struggles with getting rid of anything, even scraps of paper, broken toys or clothes and shoes too small for her. Each item of hers donated, thrown away or sold is like she is losing a best friend. Funny thing is she hasn’t even asked about any of the missing items. She doesn’t know that I toted them up and stored them in the shed. She hasn’t looked for any of it or asked for any of it. I wonder if there is hope for her yet. 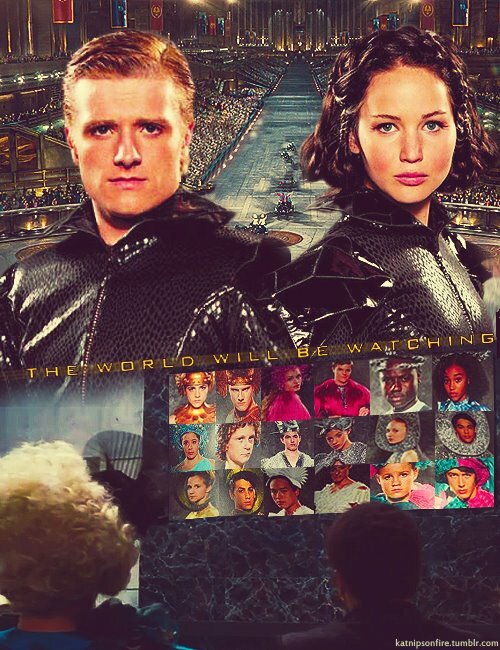 So I saw The Hunger Games yesterday and I was not disappointed. I LOVED IT! So glad that I went. So of course there were things that happened different in the movie than the book but it didn’t hurt the story. It was beautiful and tragic and heartbreaking all rolled into one and it’s definitely worth watching. The camouflage, tracker jackers and the games itself were great. It was also great that my husband went with me! It was the first date we’ve had in a long long time. The last “date” we had was when we had a quick meal at Arby’s while we went Christmas shopping for our daughter. We attempted a date in August but our daughter’s behaviors were real bad back then. So the last real date has to be back in May for our anniversary. Dang – we need to get out more! My daughter and I found Skunk Fu! on Netflix today and it’s so funny. It reminds me of a younger version of Samurai Jack. 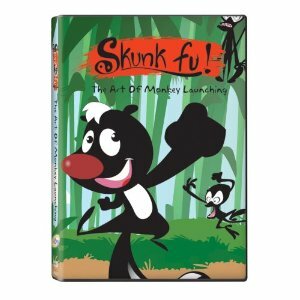 Oh my – there are ninja monkeys and killer bees and a rabbit with a very bad attitude. It’s very funny and I love it. Sometimes I really believe my brain is stuck on slow. I’m really missing that get up and go that so many people seem to have. I think I’d be happier if I could just blame it on laziness but laziness is a choice and OCD is definately not a choice. There are so many mental roadblocks in the way. I think most often the reason I don’t do what I need to do is because I often feel too overwhelmed. OCD can be crippling some most days. Take house cleaning for example – when my house is clean I feel better. There is more room to play and to take care of myself and my family. The OCD makes it difficult to touch anything that is dirty. You would think that my house would be spotless then because of this but no. Once something in my home becomes dirty it makes it difficult for me to clean it because it’s dirty. The OCD also makes being wet incredibly uncomfortable – absolutely hate it. This makes exercising extremely difficult because of the sweat factor. It also makes washing dishes a task that I really need to talk myself into because you combine dirt and wetness. I finally asked for professional help for my OCD last summer – was prescribed medication and did some talk therapy. I don’t believe that I was ready to change though as the medication was unpleasant (it reduced the mental barriers but I sweated profusely) and the talk therapy made me feel crazy. I quickly stated that I was doing better and have not talked about it since. Trying to explain to someone the need to count things obsessively just adds to the anxiety. Do normal people have to count game/puzzle pieces before using, after using and during routine cleaning sessions? No but I do. Do normal people count repeatedly to 100 to prevent bad things from happening? No but I do that as well. Can OCD and happiness live together? I don’t really think so because OCD is anxiety and I’m happy when I am free from the anxiety. So what do you do when you are really REALLY angry but you don’t want to damage a relationship? I’m angry and really pissed off but I don’t want to hold onto it and I don’t want to lash out. I don’t want to do or say something that I will truely regret later. I find that with anger comes regret especially if the anger is handled improperly. ADHD and anger is a particularly bad combination because that verbal filter is absent. It seems like when I’m angry I come down with a terrible case of verbal diarrhea. Past history has shown that I do not always know all of the facts so don’t always know why people are behaving a certain way. It’s also important to note that I rarely become upset with this person. I’ve also learned that people cannot blame other people for their expressions of anger. My anger is MY reaction to things going on. I think much of my mood currently could be chalked up fears over my health, changing family schedules and lack of restful sleep. Anger is a sign that something needs to change. It’s important though to take some time to figure out what it is exactly that I want to change. Could you imagine blowing up because you are pissed off then not having options thought out to how things could be better? It doesn’t sound very effective. I’ve given it a night and 1/2 a day and here is what I’ve figured out so far. I feel undervalued and under appreciated. There is alot going on with my day and I definately don’t want to bore someone with all the details but I would like to be asked how my day went. I work hard at my job and I do so for my family – to pay bills and such. If I have to work late occasionally then I occasionally need help with things like dinner. Processing how my daughter’s day went and following up on homework with her is important. I shouldn’t be the only one doing this. Family time is important. Don’t do something while we are all home that you should have done when we were all gone but didn’t. Unpleasant tasks should at least be shared. Don’t dump all the work on me especially when I work too. Acknowledge that I need help and support because I’m scared, worried and exhausted. On-going health problems wears a person out especially without support. Ah – the “joys” of being a woman. So as I have been working on my home and working on my self-awareness I’ve learned a few things about myself. 1. I’ll procrastinate for hours to avoid 15 minutes on a task I don’t want to do. However, I have learned that there is an immense payoff once the task has been completed. It feels good to tackle and then stop an unpleasant task. 2. I love washing dishes with my husband. We’ve been tackling this job together lately. He’ll wash and I’ll rinse. Since my job takes less time I clean off the counters, move along laundry and tackle hotspots in the kitchen area. It’s nice standing next to him. Typically it takes 1 or 2 15 minute sessions for us to pull the kitchen together and make a huge difference in our home. It’s also fantastic bonding time with him and we are taking care of our home together. 3. I love watching Clean House. I wish all the seasons were on Netflix but I’ll be happy with the ones that are. Right now I’m watching the Loria family on Clean House. I wish they would have picked a more appreciative family for this episode. Such ungrateful people. I love watching the episodes of pure joy on the family’s faces when they see their homes. I love Niecy Nash and Mark Brunetz. The go to guy and yard sale diva are also amazing. 4. Family fun nights need to happen more often. This week’s zone is the bathroom and an extra room. As I’ve said in a previous post the small bathroom is looking rather good. It still desperately needs to be painted. I really need to post a picture of the walls – horrid print. For Christmas my mom gave us a new faucet set for the bathroom. We really needed this as it’s difficult for my daughter to turn on and off the water. It still sits on the floor next to the sink in the small bathroom as my husband cannot figure out how to turn the water off. So maybe this will be similar to the beast – it’ll sit there till I can’t stand it no longer and insist that it be finished. Flylady encourages people to swish and swipe in their bathrooms daily. I found something that helps make cleaning the toilet very easy. 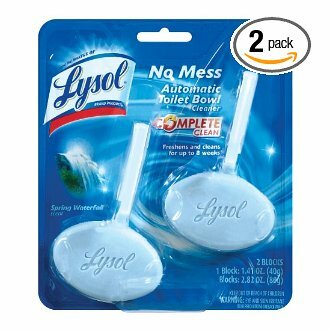 Lysol makes an automatic toilet bowl cleaner so that everytime you flush some cleaner swirls around and keeps the bowl shiney and clean. Plus it makes the bathroom smell clean. So this week I imagine that I’m going to have to work on the larger bathroom. This will take some work – clutter is lurking under the sink, on the sink, on the shelves above the toilet, next to the toilet. Bottles of nailpolish, lotions, hand sanitizers, cold medicines, tons of bandaids and more. I am possible the least fussy girl there is about my appearance – never wear a lick of makeup and seldom do my hair or nails with the exception of my daily high ponytail yet I have barrettes and clips and headbands, make up and more. So how does the big bathroom make me feel? terrible. I barely want to step into it. Maybe by the end of the week this room will make me feel happy. Dun dun dunnnn! family room time? I think not. Not yet anyway. I seriously want this room to look nice but I’m just not there yet. Maybe when the rest of the house looks good I’ll have no excuse but to fix this room. It’s embarassing though. It could be on an episode of Clean House it’s so bad. Fortuneately we wouldn’t qualify for Clean House even if they did our area because you need at least three rooms in CHAOS and we have the one with bits and pieces of foolishness elsewhere. Bit by bit, piece by piece the house is doing better. Once we have the yard sale it will be great (to be honest much of the foolishness in the family room is stuff for the yard sale). 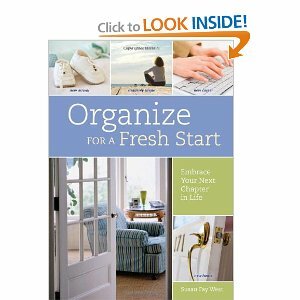 So I’m currently readingOrganize for a Fresh Startby Susan Fay West. The book is about embracing your next chapter in your life. The book is interesting and helpful however there are parts so far that make it very difficult for an ADDer. Hyperfocusing helps me read through books so fast because I love to read and it captures my attention. This book does not kick my hyperfocus into gear. Sometimes when I believe a book may be helpful but I’m not getting into it I’ll continue to make myself read it and for this book I’m glad that I did. I am still working on this book but have gathered some helpful information so far. In the introduction she states, “Your life is in transition now.” I love this line and how she goes on further to explain the difference between change and transition. We want CHANGE and we want it now! People must CHANGE and it’s hard – but necessary. Without change there can be no growth. Transition by her description better fits what is going on – there is an ending. That chapter of your life is over. Currently you are in limbo while you adjust and struggle with the ending and the new beginning. Then there is a new beginning. It takes time. It doesn’t happen over night but is a process. In foster care there is so much going on with the families that I work with. Transitions fit so much better than change does. I used this to help one of my families the other day and it was like an ah-ha moment for them and for me. Change – change is hard for almost everyone. There is always change and no one feels this as much as a family going through the foster care system. When their children are removed it’s the end of that chapter. Things cannot continue the way that it has been. We need kids to be safe and cared for and whether through abuse or neglect the conditions are not suitable for the children. It is the end because without change the children will not come back. The time while the children are in care is the limbo stage. This is the stage where the parents are trying to figure out new ways to make things work. They know they can’t stay where they were but they are not where they need to be. It takes time and effort and some education. It’s very hard in the beginning but it gets easier with time. The starting of the new chapter comes when the required skills become habit and the children can return home. It makes me think of a dialogue in my head, “You are fine but we just want you to change everything about you!” Sometimes I imagine this is what our birth parents feel like. Between this book and Don’t Give Me that Attitude I’m seeing a new way of looking at this. We want for people to take their negative behaviors and replace them with positive behaviors so that over time their attitude takes a shift towards a more positive attitude. All of us have things we either want to change or need to change about ourselves (or else New Year’s resolutions wouldn’t be so popular). When an outside force (CPS/CYS, or the legal system) comes in demanding the change it can be harder because change often works best when we are ready for it but some change cannot wait especially when children are involved. I love this – I often say that my home is a direct reflection of my mental health. When my home is cluttered and chaotic that my head tends to be the same. When my home is calm, clean and open then you know I’m feeling healthy. Currently parts of my home are clear and calm. The corners though and the family room are a bit chaotic so I think it fits. Organizing and purging are very cathartic for me. I hold onto things that I have emotional attachments to. I love FlyLady because she has helped me get rid of so much BAGGAGE. She encourages people to bless others (get rid of) anything that makes you feel sad (or any other negative emotion). Clean House has helped me get rid of things that were for memories. And this book has helped me understand the process. I still don’t know who I am or what really sparks my interest. I believe that as I reshape the rooms in my home that I’ll slowly find myself. I want clean, clear spaces so that I can grow and develop past a person just going through the motions of life. I want to find that path to what really TRIGGERS my hyperfocus (in a good way of course) so that I can produce something amazing.